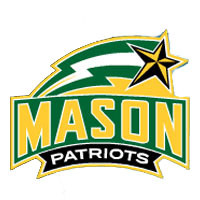 George Mason basketball coach Paul Hewitt put the finishing touches on the recruiting class of 2013 as he announced today the signing of guard Marquise Moore to a National Letter of Intent. Moore is a 6’1” incoming freshman from Queens, N.Y., playing in high school at Holy Cross High School before a year of prep school at St. Thomas More (Conn.). Moore, who will be eligible to play in the upcoming 2013-14 season, averaged 13 points, six rebounds and five assists last season with the Chancellors, playing at the same school as current Patriots Bryon Allen and Michael Rudy. He helped lead the team to a 24-6 record, and earned second-team All-New England Preparatory School Athletic Council (NEPSAC) honors along with the school’s Coaches Award. During his high school career, Moore starred at Holy Cross, and played a major part in leading the Knights to a city title in 2012. In his senior season, Moore averaged 15.6 points per contest en route to an All-Catholic League (CHSAA) second team selection. Moore joins forward Julian Royal, who will sit out next season after transferring from Georgia Tech, as members of the class of 2013. The Patriots return all five starters and 10 letterwinners from the 2012-13 squad, which finished 22-16 including a College Basketball Invitational finals appearance.